There has to be an underlying reason as to why so many high school films exist. I mean, those developmental years – when we’re all too impressionable – are hailed as the most important of your life, but why? It’s not because we “come of age,” a phrase invalidated by the very process of life. You don’t come of age; you become an age over and over again your until time is up. Could it be scientific? Is it a blend of hormones and physical changes adjusting to the world around us? This film doesn’t give us an answer, and maybe that’s because there isn’t one to be found. What it does deliver though is a smart, witty, introspective look inside the mind of a girl desperately trying to redefine herself. High school is a formative period, and one generally experienced by all of us. 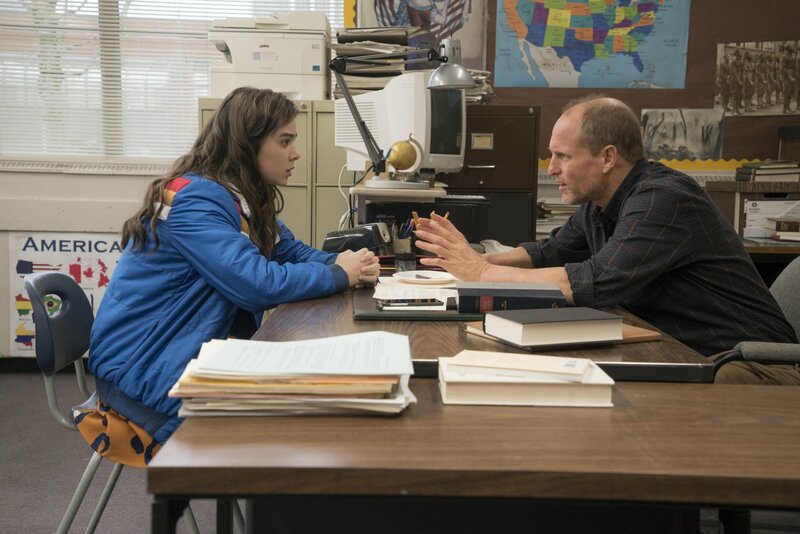 In that regard, The Edge of Seventeen feels both broadly ubiquitous and deeply personal. Junior year isn’t going so well for Nadine (Hailee Steinfeld). Her best/only friend Krista (Haley Lu Richardson) has started dating Darian (Blake Jenner), Nadine’s twin brother. He’s a talented soccer player, good student, a nice and popular kid. She also has to deal with a salacious message she accidentally sent to Nick (Alexander Calvert), fresh off a stint in juvie and more attractive than ever. Nick works at Petland, where Nadine says they could even do it in the stockroom. Desperation always tends to belittle romance. Nadine can’t talk about this with her Mom (Kyra Sedgwick) because she’s always giving a lecture. Dad’s been gone four years now. All that leaves is Mr. Bruner (Woody Harrelson), a teacher who’s willing to lend an ear followed by a harsh, often sarcastic piece of life advice. 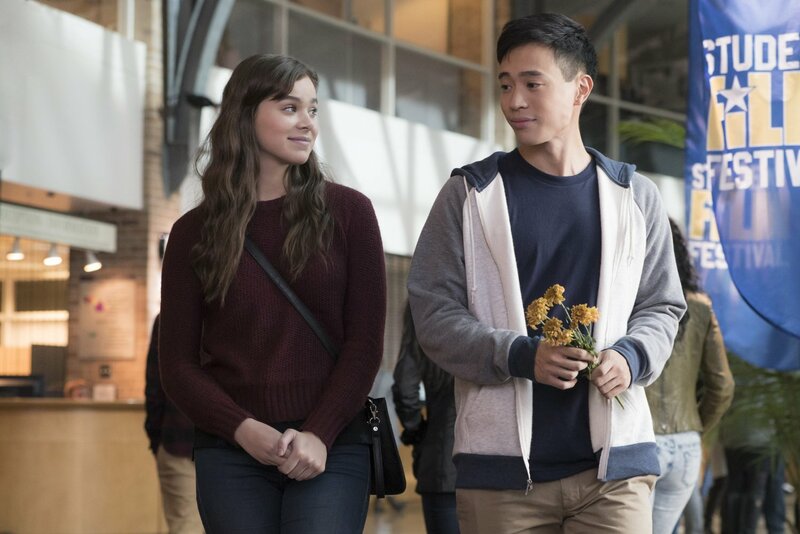 It’s a good thing she meets Erwin (Hayden Szeto in an impressively charming role). Erwin’s a harmless old soul stuck in an adolescent’s body. He’s awkward, quirky, a warm presence for the cold Nadine. We hope, for the sake of them both, that he’s able to escape her friend zone. It’s very easy to judge Nadine by what she says and what she does. She’s rude, confrontational, selfish, a bit crude. But there’s more to this girl, and when you watch the film, pay attention to all of the little things she doesn’t do that just as easily define her character. Her room is a mess, she doesn’t have a license, she can’t hold a conversation with strangers at a party. For Nadine, breaking the ice takes more than a pickax; she needs an auger. We see these sides because Steinfeld is able to act fast while thinking thoroughly. Performances in relatively lighthearted films like this one are always overlooked, but Steinfeld is deserving of praise. Not too many actors are asked to make the audience contemplate, cry, and consider all at once. Mark my words – this young woman will one day win an Oscar. She’s that talented. The Edge of Seventeen’s main theme is tied to an identity in crisis that’s made up of different pieces. Nadine’s at her most compelling when she is acknowledging and questioning herself being replaced in the lives of others. We can imagine her inner dialogue. “What’s my value? What do I have to offer? Why can’t I get things right?” Above all else, this is the aspect writer/director Kelly Fremon Craig hones in on. She writes Nadine as a stonewall, directs her as an agitator, and lets Steinfeld play her with a kind of cagey flippancy that overpowers her natural sensitivity. Sometimes it’s just par the course, and in particular instances it’s the result of the type of dumb and knowingly self-detrimental decision teenagers always make. Mostly though, it just appears real. Even though I don’t see this film becoming the type of cult classic like the 80’s pictures it feels so inspired by, it’s still a hilarious and disarming picture that pushes you away before looking into your eyes and bringing you back in for a hug. 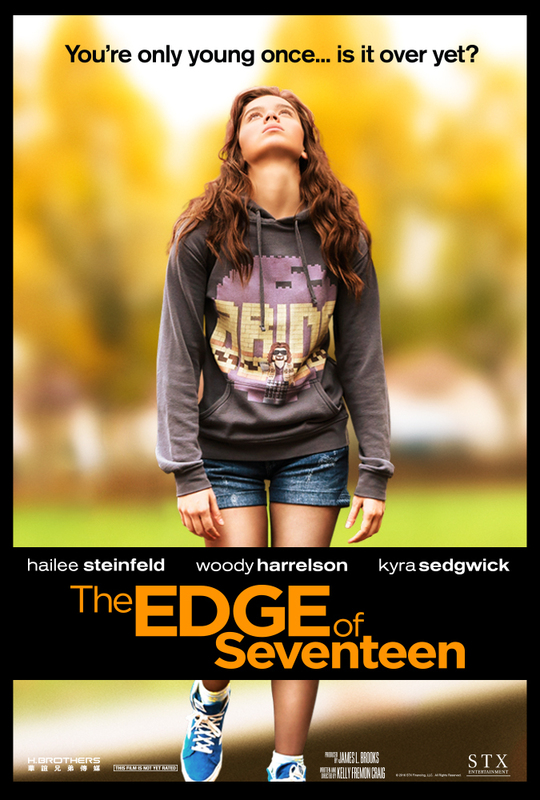 The Edge of Seventeen is pulled from the pages of a diary that’s been brought to life. It’s direct, funny, and above all else, remarkably sincere.